Hanyu is one of those distilleries that really intrigues me if for no other reason than it really got caught in the middle of the Japanese whisky firestorm. I think most people would agree that their whisky is superior to a lot of the Japanese stuff being put out there today. As is the case with a lot of whiskies these days, the exclusivity and uniqueness of this closed distillery has greatly increased both the value and perception of the tasting experience (if these highly collectable bottles are ever actually opened). Hanyu is most well-known these days for the playing card series, featuring 54 bottles representing each number and suit of a deck of cards including two “Joker” bottles that fetch the highest price of all on the secondary market. The entire series sold in 2015 for just under $500,000 which only brought more attention to the distillery. 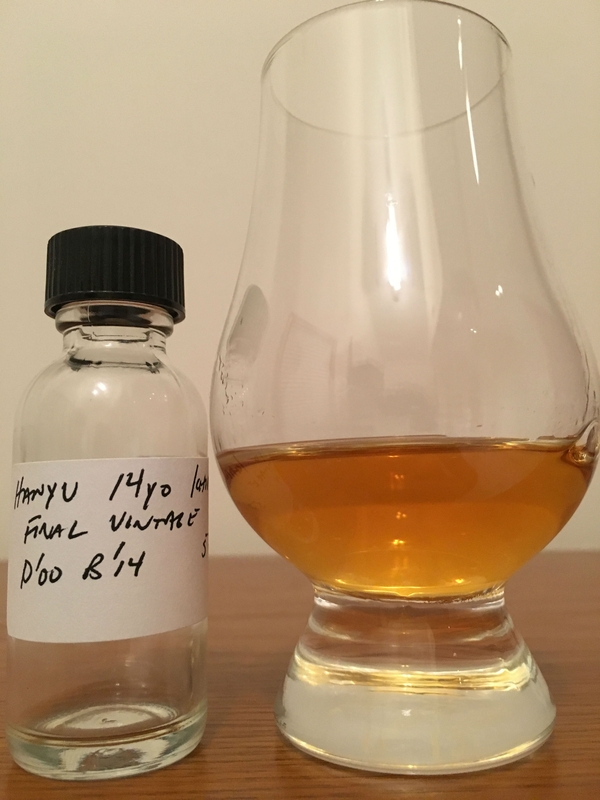 This review is of Hanyu Final Vintage (Cask #921), a single refill sherry cask distilled in 2000 during Hanyu’s last year of production. It was bottled in 2014 and released as a Whisky Exchange exclusive. Nose Spicy and grainy up front, clean and crisp, apples, fresh cut hay, floral, strawberries, perfumy, sweet and salty, macadamias. Taste Oily and full-bodied. Orchard fruits, some nice oak, caramelized sugar, heavy on the allspice, slight earthy peat undertones, raspberry compote, mixed berries. Finish Slightly astringent, oak forward, grassy, some nice smoke here, more raspberries, some mustiness, vanilla, medium length.